Joe and Lynne Dinas are up against a challenge they cannot face alone. Three years ago, at 45-years-old, Joe, was diagnosed with Pulmonary Fibrosis and has received treatment at Brigham and Womens Hospital in Boston Ma. In spite of many medical efforts, Joeâ€™s lung capacity has steadily declined and he now requires oxygen to support any physical activity. Joe has been informed that his only chance at a healthy life is to have a double lung transplant. After extensive evaluations, Joe is now considered an excellent candidate for a double lung transplant and has been placed on the active transplant waiting list. Joe needs the help of his family, friends and community in order to survive. Over the past 12 years, Joe lost two brothers to this same disease — Nick, age 48 and Gary, age 54. Transplantation is life-saving, but very expensive. Financing this procedure is a monumental task that Joe and Lynne cannot meet without support. Even with insurance, Joe will have many uninsured transplant-related expenses such as: co-pays and deductibles, doctor visits travel to and from the transplant center and the costly immunosuppressant medications that he will need to take for the rest of his life. To help with these expenses, a fundraising campaign in Joeâ€™s honor has been established with HelpHOPELive, a nonprofit organization that has been assisting the transplant community more than 30 years. All donations are tax-deductible, and held by HelpHOPELive in the Northeast Lung Transplant Fund, and are administered by HelpHOPELive for transplant-related expenses only. Please consider making a tax-deductible donation. Joe and Lynne feel they have already been blessed with a wonderful team of doctors, friends and family throughout this journey. As it continues, your prayers and contributions will be greatly appreciated. Joe was the youngest of five children. His parents carried genes that would end up fighting each other and destroying the lungs of three of the four boys in his family. 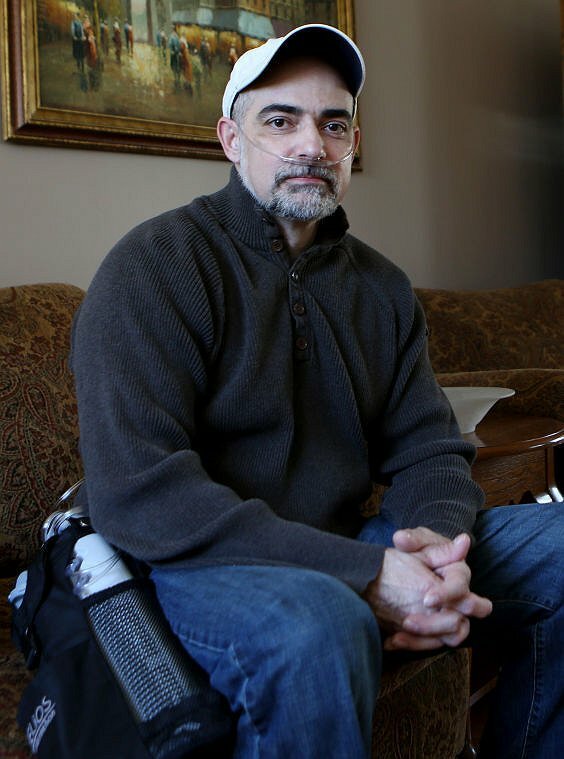 Joe’s two older brothers died of pulmonary fibrosis before they could be transplanted. Joe came home in record time. We are still going strong and are so appreciative of the person who gave us BOTH the gift of life. I had my lung transplant on March 24 and I’m feeling great. I have a long recovery but I’m up for the challenge. Thank you to all my supporters and all your prayers. Great Great news Joe got transplanted March 24th! We were given the gift of life! Our hearts morn for the family that lost their loved one, but hope they are comforted knowing their loved one saved two lives! Joe did amazing and we want to thank each and every one of you that have donated! These funds will definitely take an enormous stress off our finances. We had our Beer and Wine tasting and Dance fundraiser last night, it was an amazing event! Words can not express how appreciative we are for all that came and donated. Each and every piece made it special from the,wine the beer the music ,food,the decorations, family, and all the friends that donated their time. It was a night to remember and cherish! We feel very blessed to have the never ending support from my family and their family’s (our extended family) the support of our friends and community! It helps us stay positive thought this challenge in our life! Today we were blessed we found “Spaces of the Heart” on face book. The owner graciously offering a place for us to stay in Guilford, Connecticut while we are down in Westbrook Center, CT seeing a wonderful band called “The SinSisters Band” this band is donating their time for our fundraising event Oct 18th. On April 17th 2014 our local paper did a interview with Joe, trying to call attention to the need of organ donors. Thank you Jared Ramsdell / Journal Inquirer. The title A waiting game. And it is so true we are ready. I want to thank everyone who donated to helping me. It means the world to me that there are so many caring people in my life. Sending love and prayers your way.